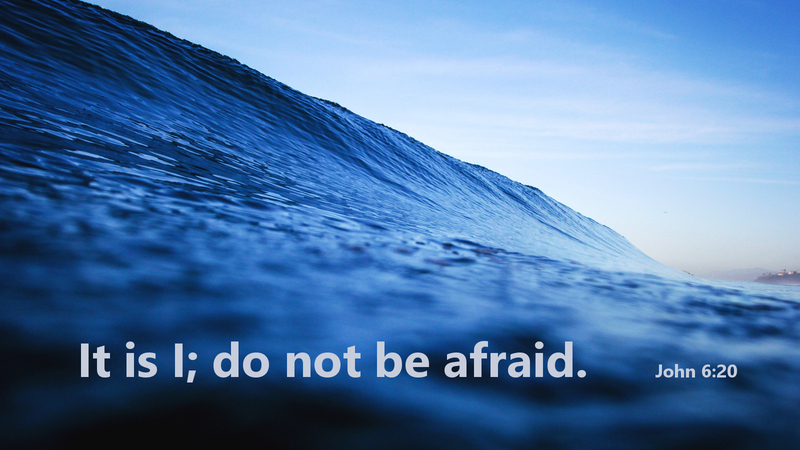 We read in John 6 that the disciples were “frightened” at Jesus’ appearance on the water. Fear is something we can understand. Perhaps we are frightened by the terrible things that happen in the world. But there may be times when we are frightened because we become aware of our own failings and sins before a living God. We are frightened of things we cannot change in the past, or even in the present, and we wonder if or how this will affect our future with God and others. In Christ, we are free to live without fear before God, serving him in faith, as Abraham did when he showed hospitality to the three strangers under the oaks of Mamre. He gave of the best he had, unaware that under the guise of these men was God himself. We too may give of what we have to God, without fear, believing that by his grace we will “receive what is promised” (Heb 10:36). Prayer: Lord Jesus, in times of trouble and doubt, let me hear your word, “It is I; do not be afraid.” Amen. Today’s devotion was written by Maurice Frontz, Pastor of St. Stephen Lutheran Church, Pittsburgh PA.